Milan (Milano) is a city in Italy, capital of Lombardy and the second most populated city in Italy after Rome. 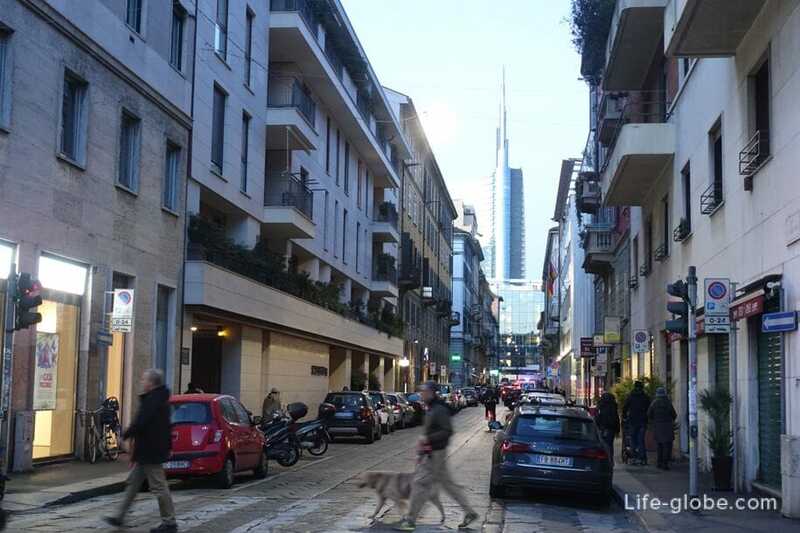 Milan is leading the alpha-global city. Milan strengths are manifested in such areas as: art, trade, design, education, entertainment, fashion, Finance, healthcare, media and tourism. In the business district of the city are: the stock exchange of Italy and the headquarters of major national and international banks and companies. Currently, Milan is considered part of the Blue Banana and one of the "Four engines for Europe". 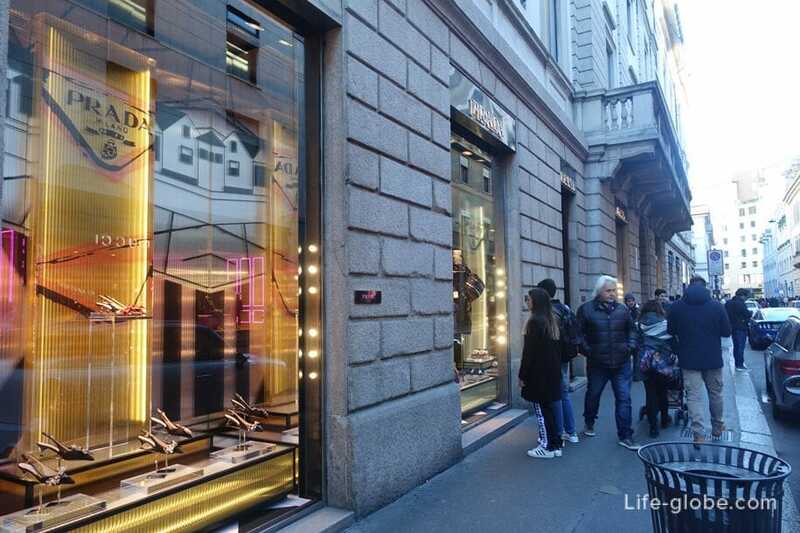 Also Milan is attractive because it has long been named one of the world capitals of fashion and design, as well as the center of fashion and style in Italy and Europe. In Milan, on an ongoing basis are international events of the world of fashion and design in General, including Milan Fashion Week and the Milan Furniture fair, which, currently, are among the most visited, expensive, and bringing more profit events in the world. - Golden quadrilateral, the streets of which collected such pearls of world art design as Gucci, Versace, Louis Vuitton, Moschino, Prada, TOD's, Bulgari, Chanel, Dior, VALENTINO, etc. in Addition to salons and luxury boutiques in the quadrangle restaurants and hotels. 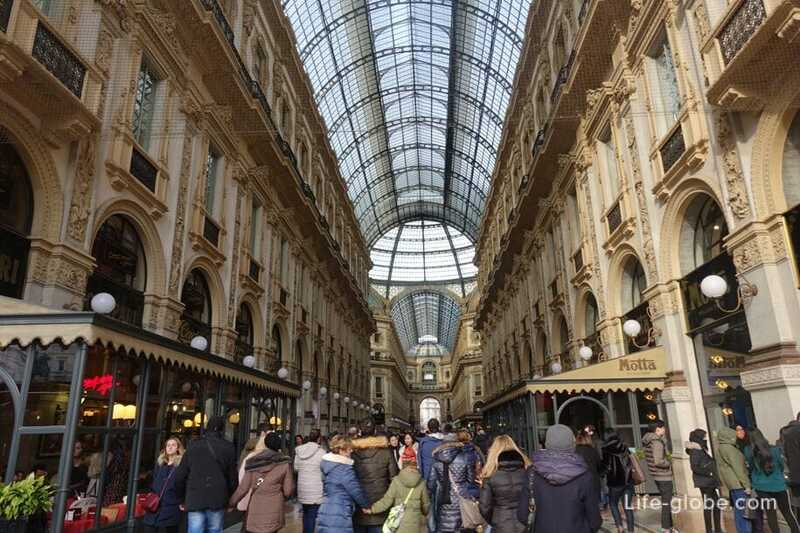 - Galleria Vittorio Emanuele II is the oldest shopping center in Italy and which is a passage where there are luxury boutiques and stores of world famous brands clothes and shoes. In addition to stores in the gallery there is a cafe, restaurants, eateries and luxury 5-star TownHouse Galleria luxury design rooms. The city has numerous cultural institutions, academies and universities. 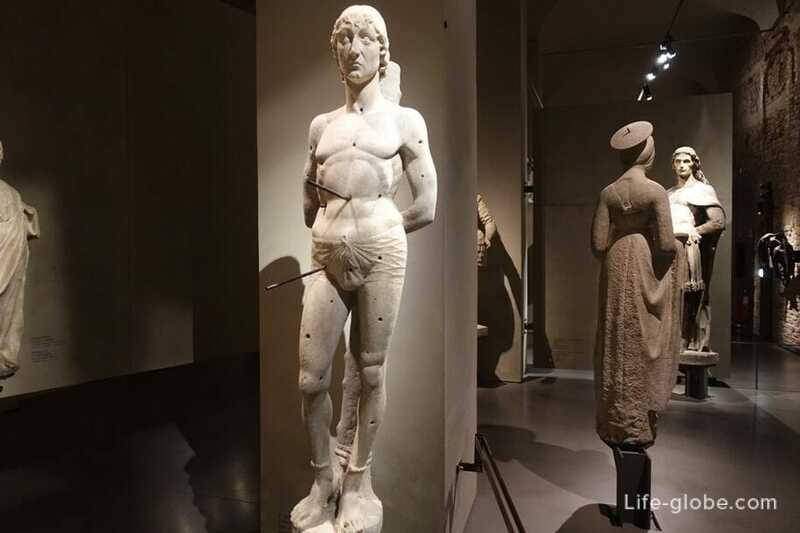 Every year Milan attracts more than 8 million tourists, of which, in addition to fashion and style, attracting museums, exhibitions and art galleries of the city, which can boast some of the most important collections in the world, including major works by Leonardo da Vinci. Museum of science and technology Leonardo da Vinci (Museo Nazionale della Scienza e della Tecnologia Leonardo da Vinci) - the most famous Museum of Milan. 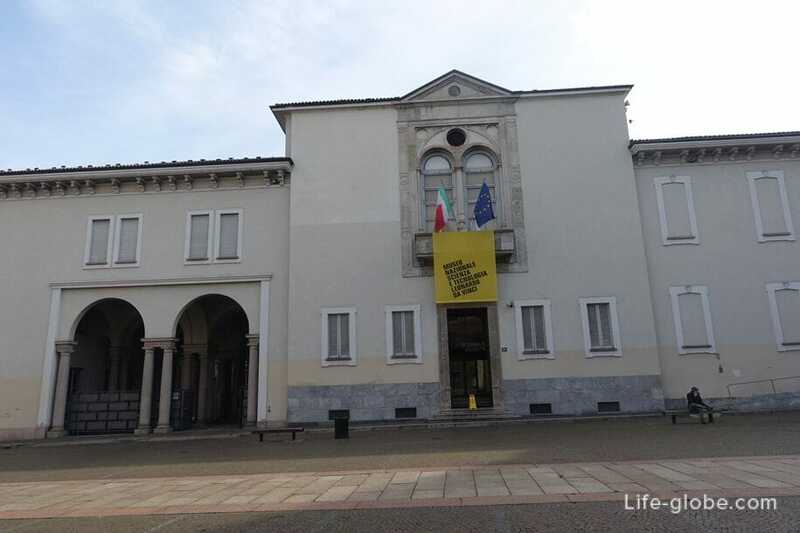 Opened in 1953 and is the largest scientific-technical Museum in Italy and one of the largest in Europe. Today, the Museum owns the world's largest collection of machine models made from the drawings of Leonardo da Vinci. 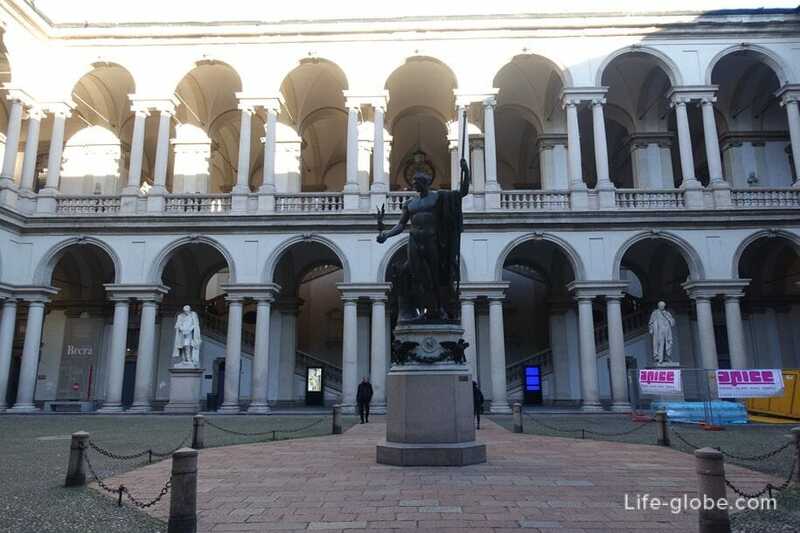 Milan is one of the most important art galleries of the city and the country as a whole - the Pinacoteca di Brera - Milan's largest art gallery. 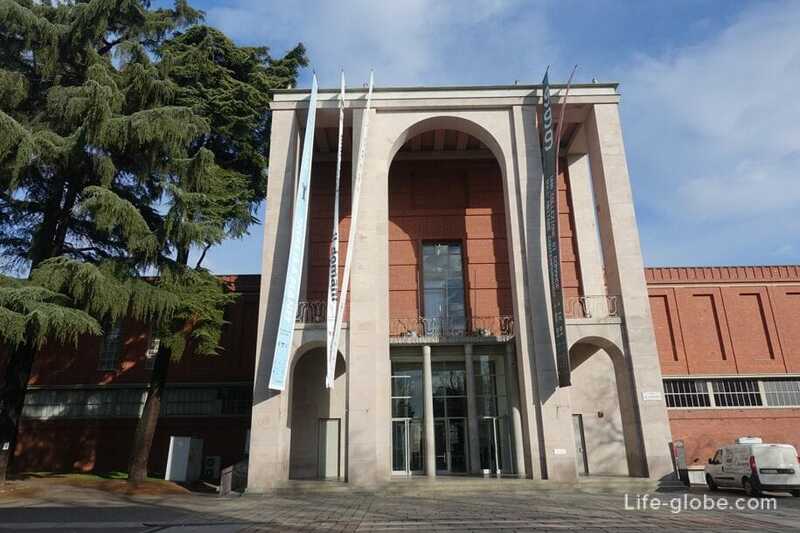 Also, no less famous Milan Triennale (La Triennale di Milano) - the Museum of art and design. International cultural institution, which conducts exhibitions, conferences and various events of art. The city based two of the most successful football teams in Europe: AC Milan and FC Internazionale Milano, as well as one of the major basketball teams in Italy "Olimpia Milano". 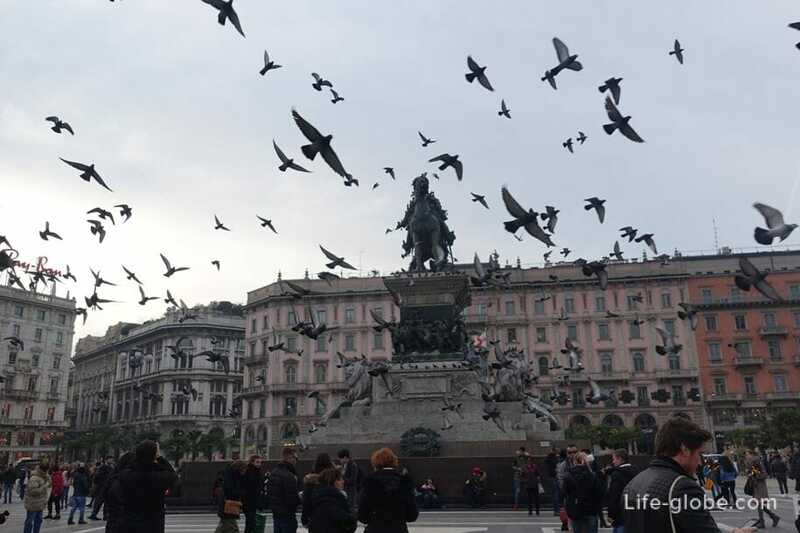 Piazza del Duomo or Cathedral square is the most visited and important square of the historical centre of Milan. Cathedral square marks the center of the city, as in a geographical sense, and because of the importance of artistic, cultural and social points of view. 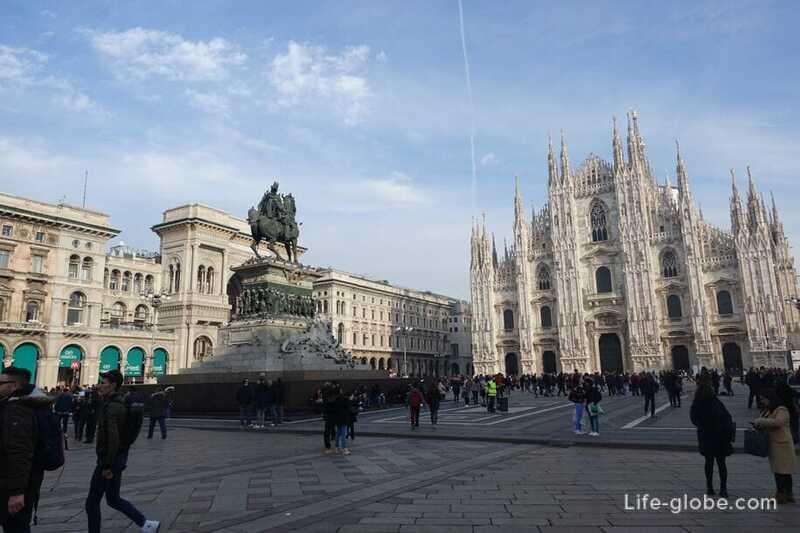 No wonder that Piazza del Duomo is called the heart of Milan! 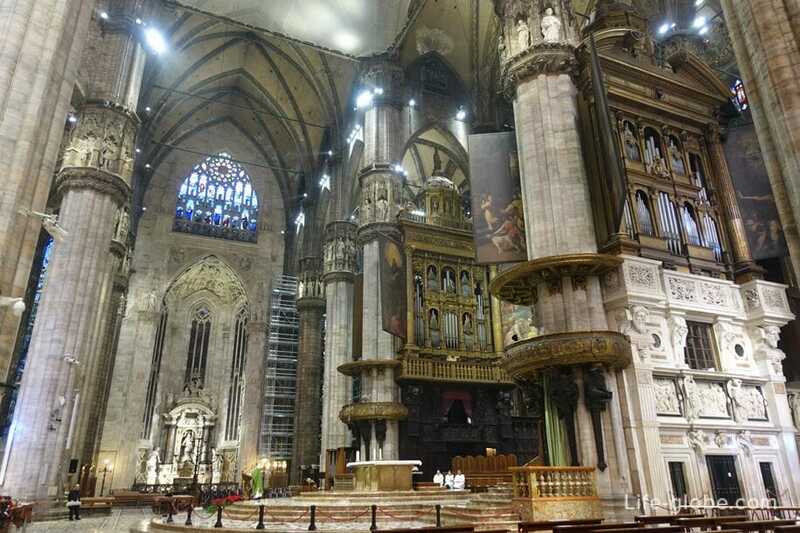 - Cathedral of Milan (Duomo di Milan / Duomo di Milano), in whose honor and named the square itself. First of all, the Duomo is famous for its eye-catching architecture in the style of flamboyant Gothic (Flamboyant), and the fact that he is one of the largest cathedrals in the world. 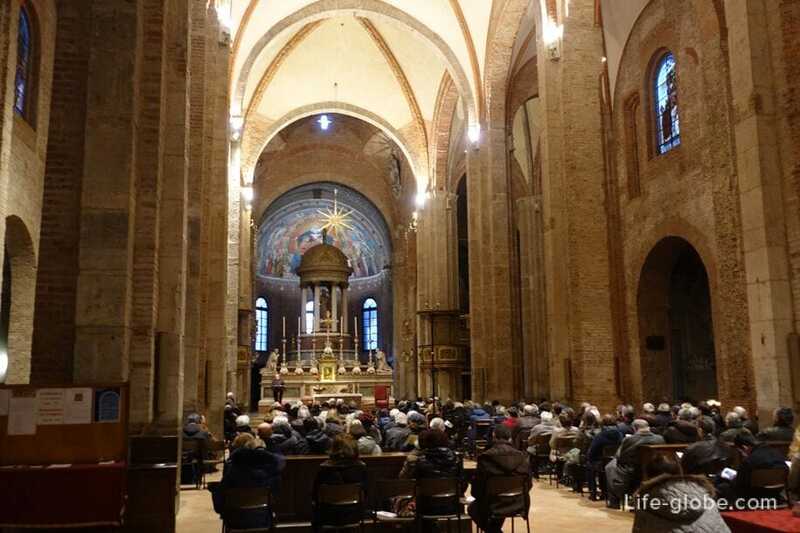 It's not just a Cathedral is the main attraction and the symbol of Milan and one of the most spacious churches in Europe. 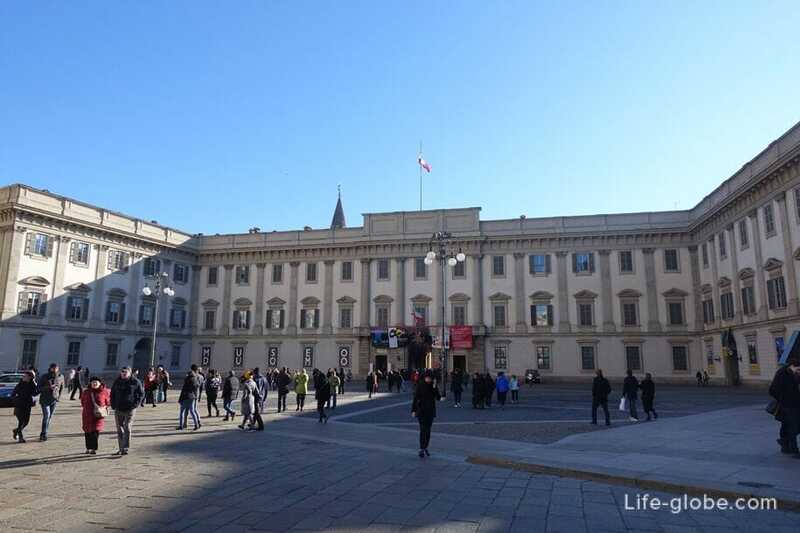 - Royal Palace (Palazzo Reale di Milano) is for a long time served as the residence of the rulers of Milan. Today the Palace serves as a cultural center and is home to expositions and exhibitions. 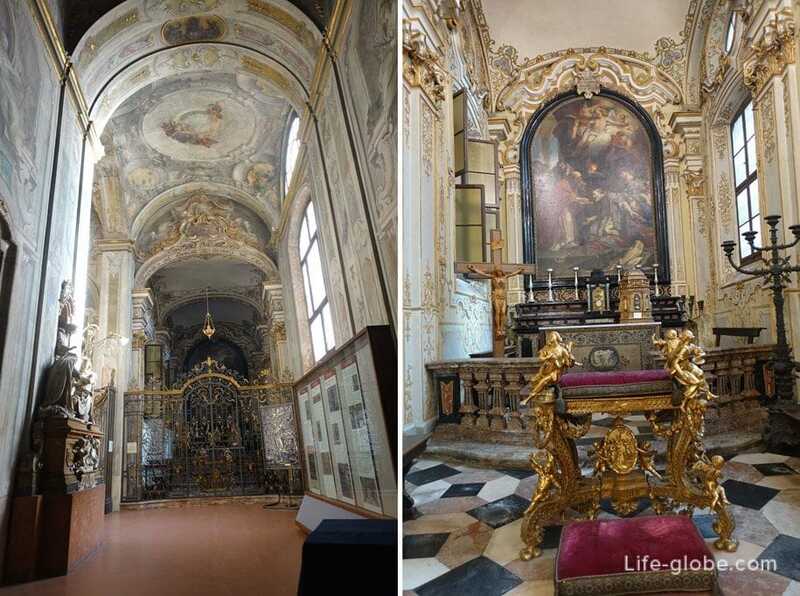 The Palace houses the Museum of the Cathedral (Duomo Museum) and the Church of the Royal Palace of San Gottardo in Corte. 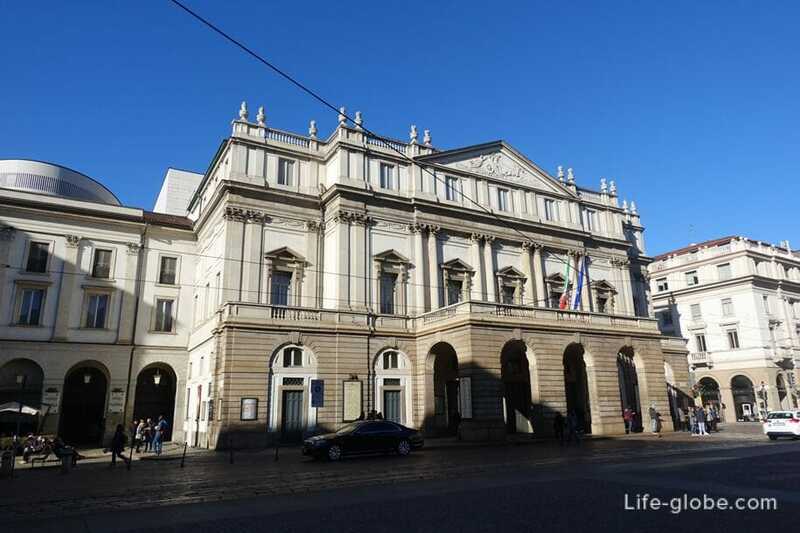 La Scala Opera house (Teatro alla Scala) is the most famous theater of Milan, was inaugurated on 3 August 1778 and got its name from the Church of Santa Maria Alla Scala, demolished to make way for the construction of the theatre. Teatro Alla Scala is one of the most prestigious theatres in the world. In its history, the walls of the theatre took the most famous artists in the international sphere of Opera, and more generally of classical music. Or St. Mark's Basilica di San Marco is one of krasivejshih structure of Milan. The façade of the Church designed in the Gothic revival style with a distinctive structure and brick walls, while the lower part of the pilasters of marble blocks. The bell tower is 14th-century with a square plan and conical sharp, was restored and completed in 1885. 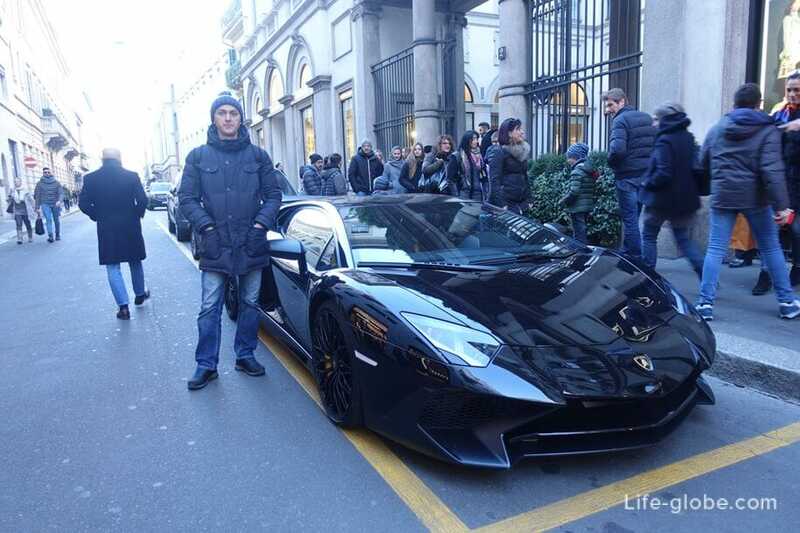 Brera - one of the oldest neighborhoods of Milan. This area is primarily attractive because from ancient times it is famous for its Bohemian atmosphere. 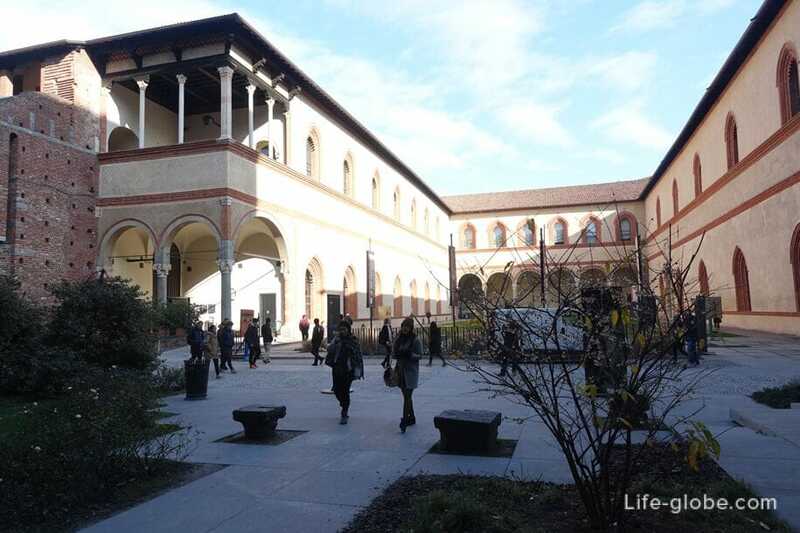 Here are: the state Academy of fine arts with its famous Pinacoteca of Brera and Orto Botanico di Brera. 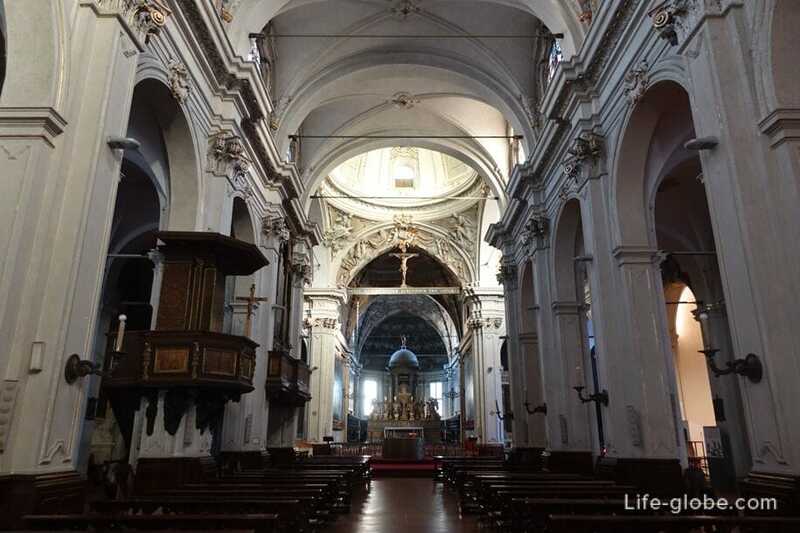 The Basilica, or the parish Church of San Simpliciano (Basilica of San Simpliciano) - the perfect embodiment of the architecture and Romanesque style. 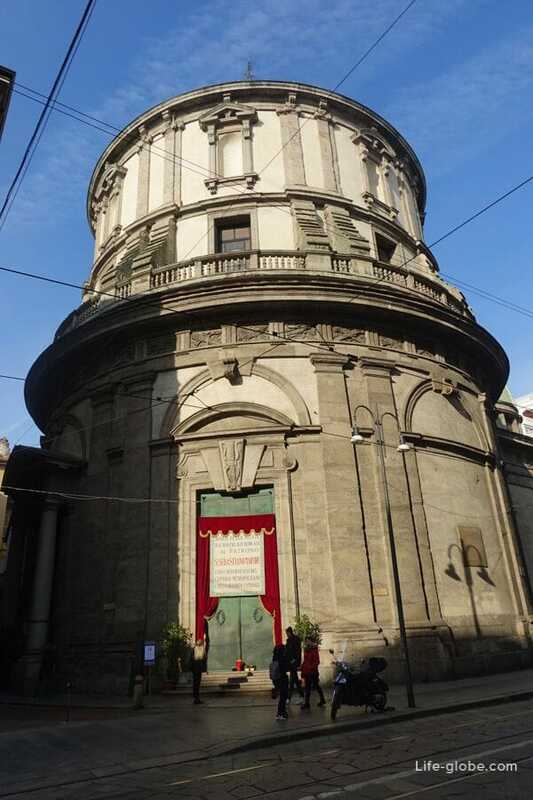 One of the churches of Milan made in the form of a Latin cross, first built by Ambrose. 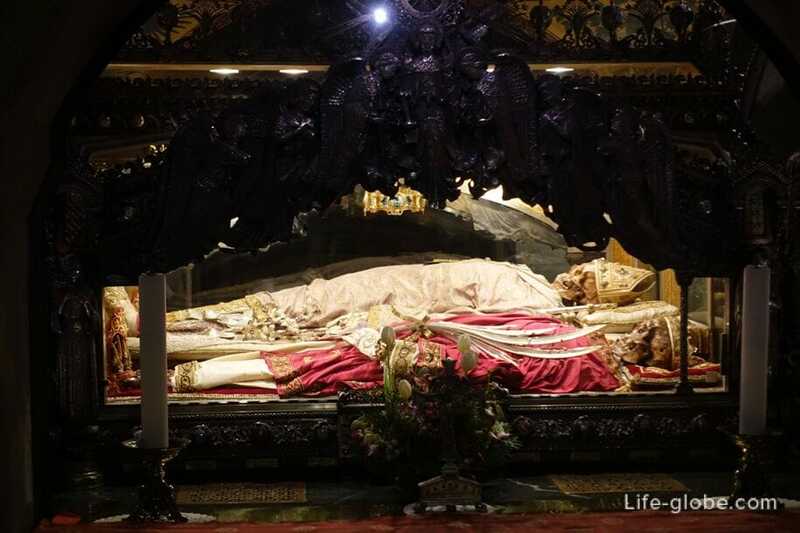 The Basilica is dedicated to Saint Simplician, Bishop of Milan. In the walls of the Church is the body, which can be streamed totally free. 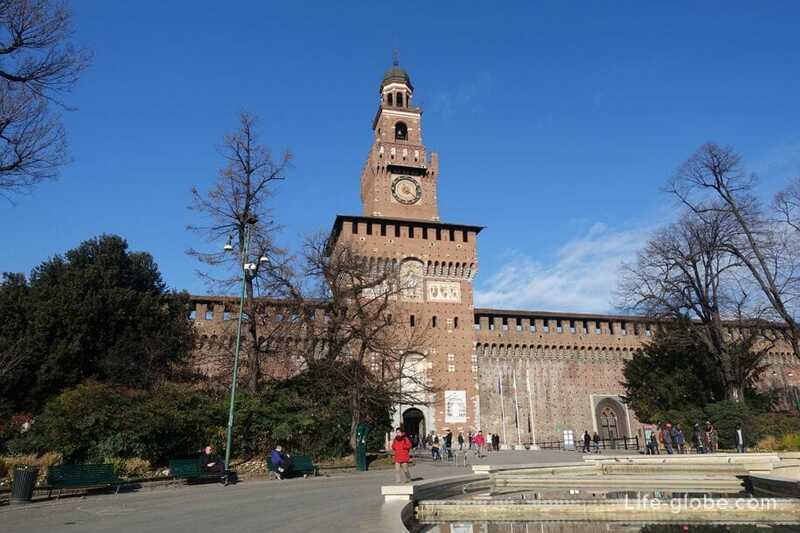 Sforza castle or Castello Sforzesco is one of the main symbols of the history of Milan. The castle was built in the 15th century by the Duke of Milan, Francesco Sforza, on the remains of previous fortifications Dating back to the fourteenth century. Throughout its long history the castle was repeatedly undergone significant transformation. In the 16th and 17th centuries it was one of the biggest citadels in Europe. At present, the Sforza castle is home to important cultural institutions and is open to tourists. 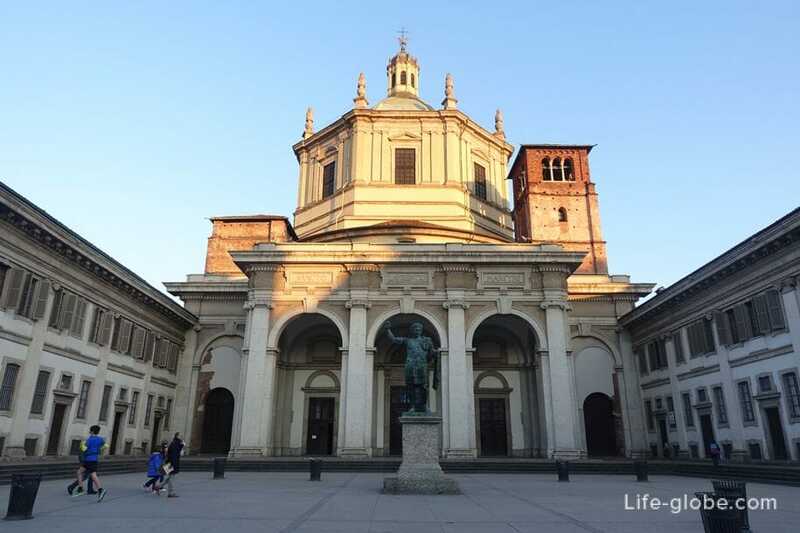 The Church of Santa Maria del Grazie (Santa Maria delle Grazie) is the main Church of the Dominican monastery, the walls of which, in the refectory, is the famous mural by Leonardo da Vinci - the last supper (Cenacolo Vinciano). 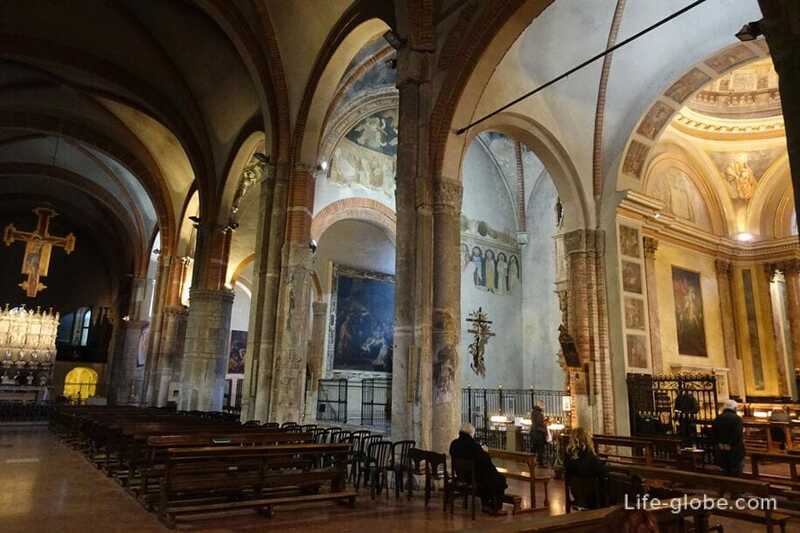 Leonardo painted the last supper on the wall in the refectory of the convent of Santa Maria delle Grazie on the orders of Ludovico Il Moro in the period from 1494 to 1497. 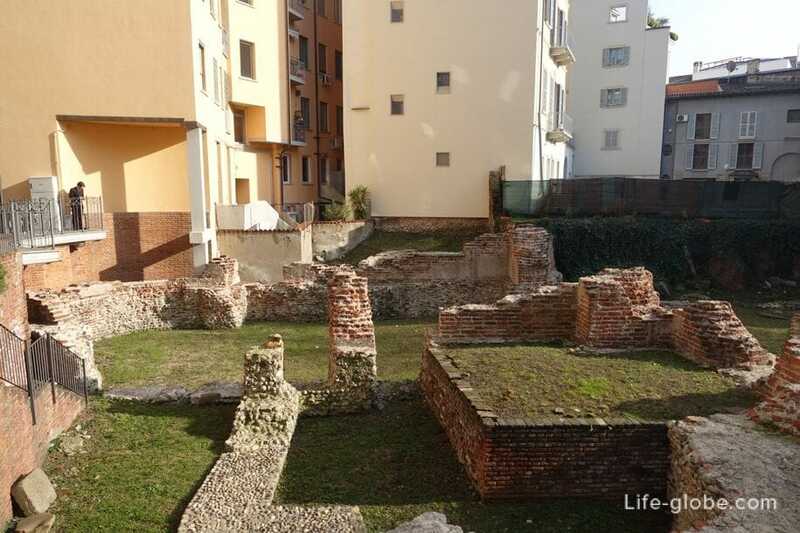 Excavations of imperial Palazzo in Milan - the remains of a Roman Imperial Palace. Imperial Roman Palace of Milan was an ancient structure built during the time of Augustus Maximian (approximately 291 of the year) when he made from Mediolanum, the capital of the Western Roman Empire. 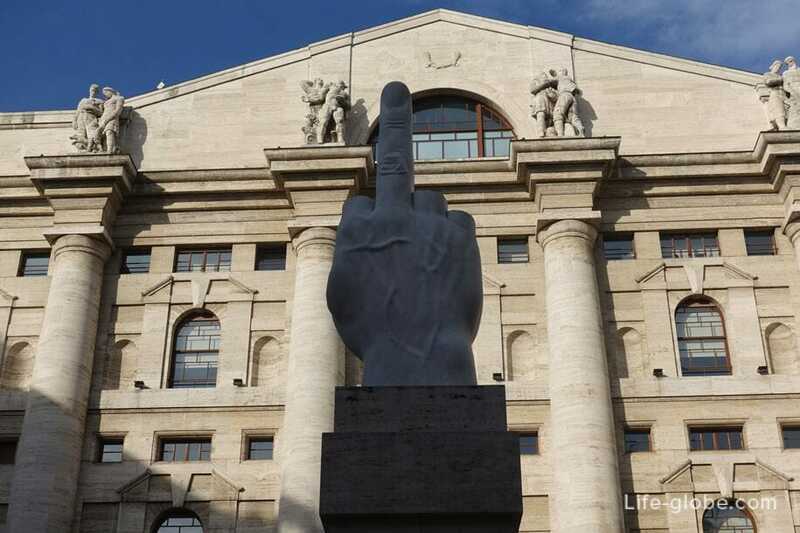 The monument to the Middle finger in Milan (Statua del Dito Medio) - the most extraordinary, the most controversial and perhaps the most unusual monument in Milan. 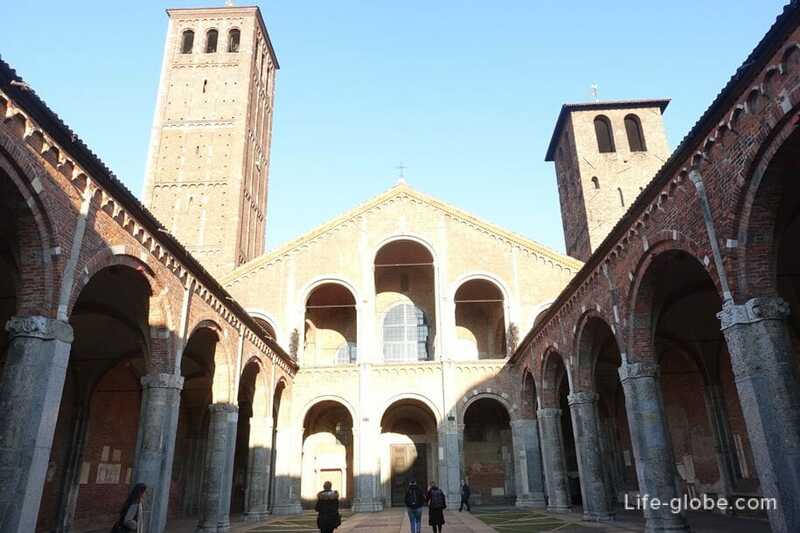 Basilica of Saint Ambrose or Basilica di Sant'ambrogio Church in Milan (Basilica di Sant'ambrogio) is one of the oldest churches in Milan. 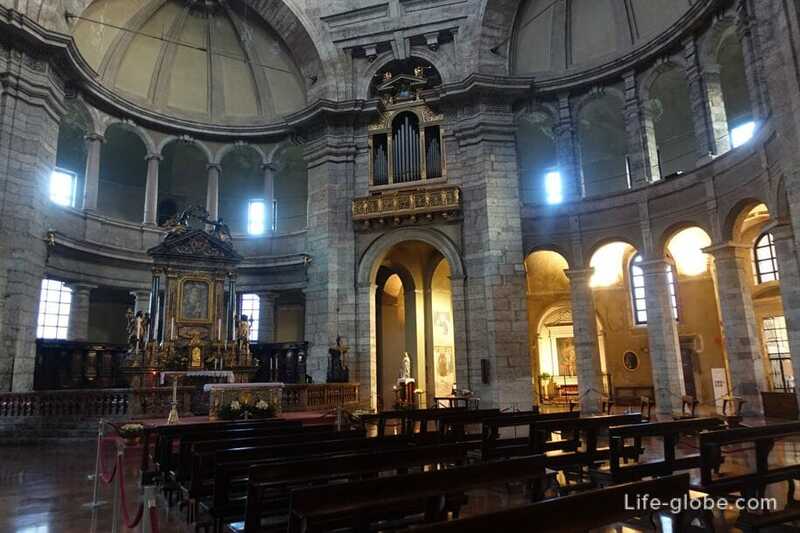 The Basilica was erected by the Holy Ambrose in 379-386, in the place where were buried many martyrs of the Roman persecution, so the original Basilica was called the Basilica of the Martyrs. The column of St. Lawrence or the columns of San Lorenzo (Colonne di San Lorenzo) - a group of ancient Roman columns, consisting mainly of 16 high Corinthian columns in a row, located opposite the Basilica San Lorenzo in Milan. 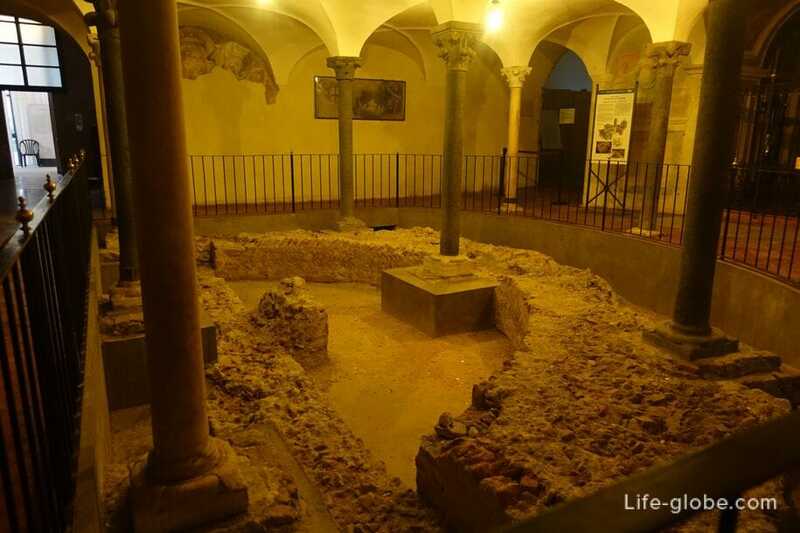 Basilica of Sant'eustorgio or to St. Eustorgius (Basilica di Sant'eustorgio) - for many years was an important aspect for pilgrims on the way of their March to Rome, because, as he said, the Church was the tomb of the Three Magi or Three Kings. 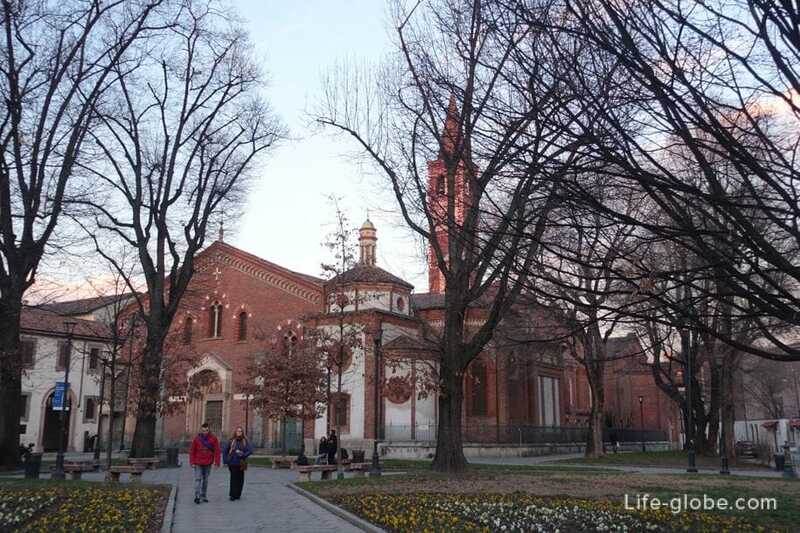 Sempione Park (Parco Sempione) - a large city Park, which was laid in the late nineteenth century on the site of the former parade ground of the Castello Sforzesco. - aquarium (Acquario Civico di Milano). 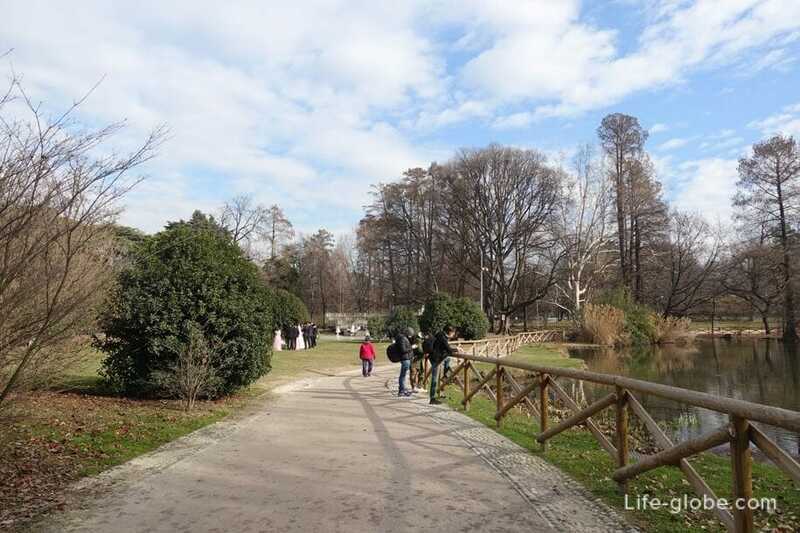 Montanelli garden or Park Giardini (Giardini Pubblici Indro Montanelli), which is located near the Villa Reale (Villa Reale di Milan) - which is a Villa built between 1790 and 1796 by the architect Leopoldo Pollack by count Ludovico, Barbiano di Belgioioso; planetarium, and one of the main gates of the medieval way of Milan - Porta Nuova (Archi di Porta Nuova). 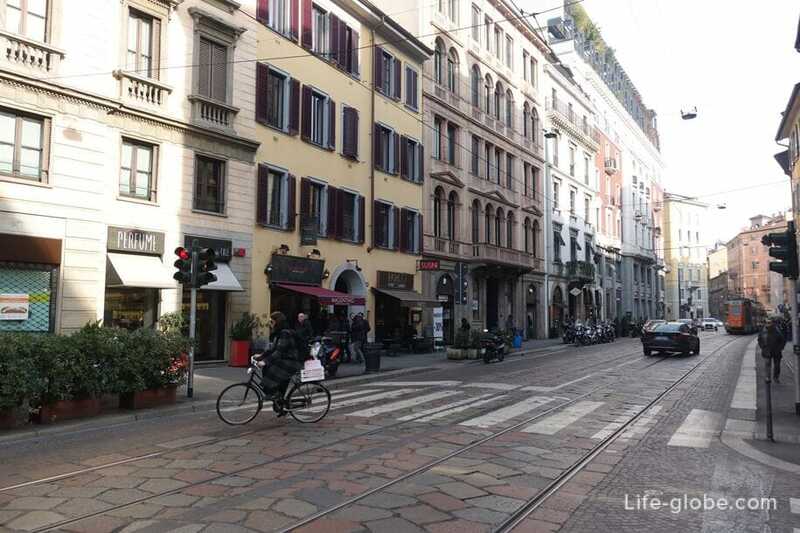 Street of Venice (Corso Venezia) is one of the Central streets of the historic center of Milan. 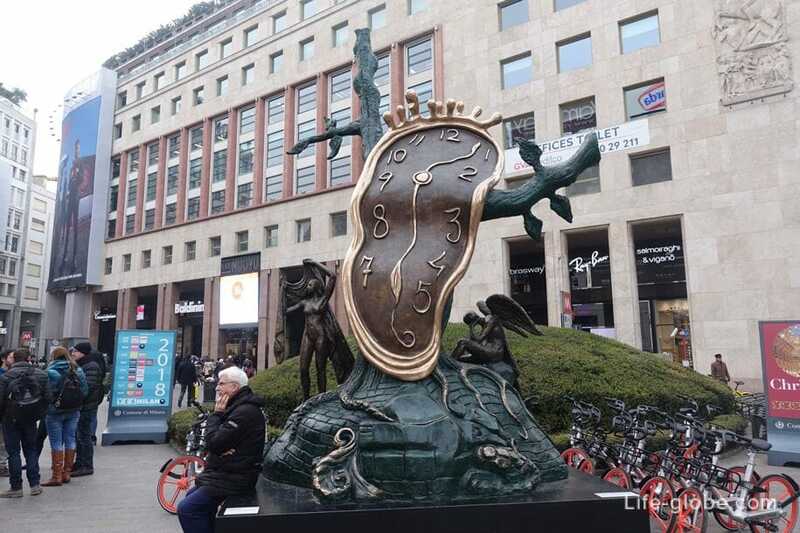 Corso Venezia originates from the pleasant Piazza San Babila, where is a fountain and an interesting sculpture "Nobility of time". 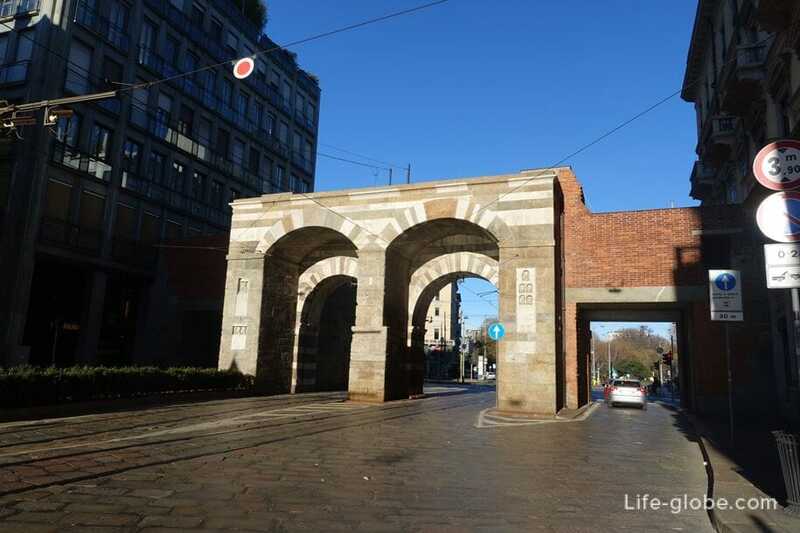 And leads to one of the main gates of Milan - Porta Venezia and Park Guardini. Torino (Via Torino) is one of the busiest and most interesting streets in the center of Milan, fully reflecting the diversity and originality of the architecture of the city. On the street, interesting buildings, churches, shops, cafes and hotels. 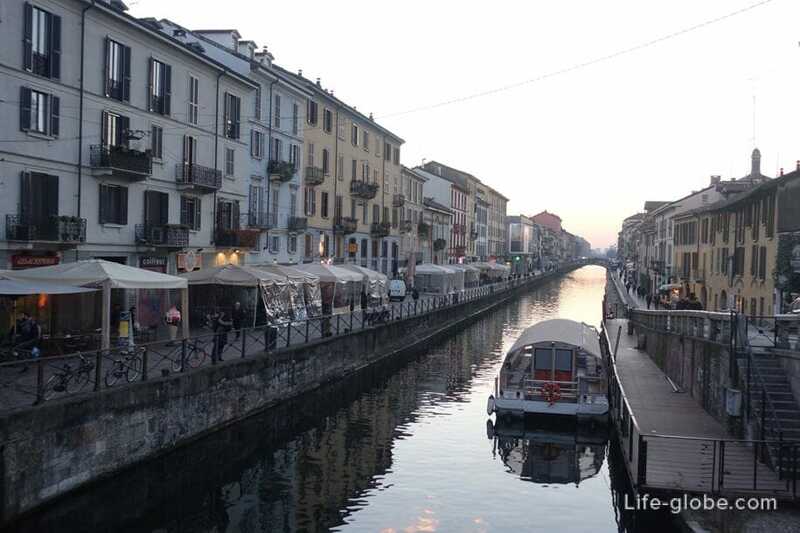 Naviglio Grande or the Grand canal - one of Milan's canals, located in the Naviglio district. Along the canal Grande, on the promenade: a renovated historic building that has retained its former charm and become, small courtyards and bridges, as well as an abundance of cafes, bars and restaurants, there are stalls and shops with Souvenirs, Antiques, and other goods and trinkets. 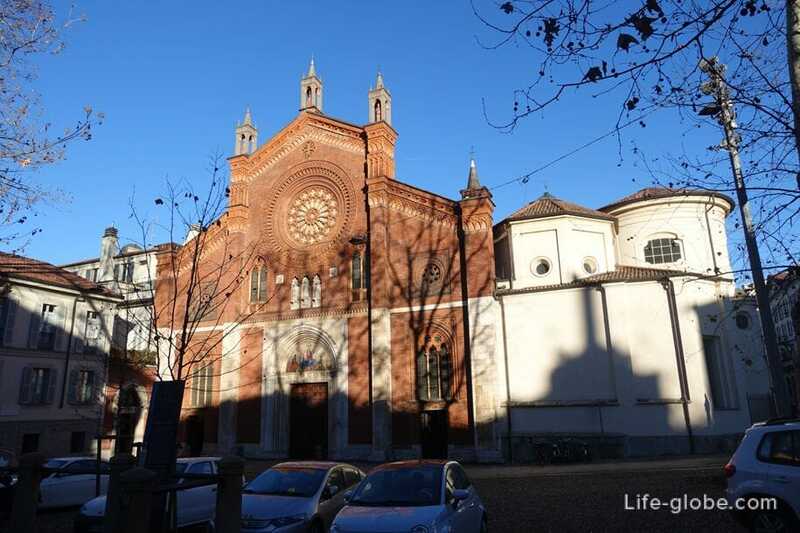 To get closer to the beauty and history of Milan to see the city from a unique perspective, and to visit those secret places that are hidden from eyes of most tourists, and also make a trip outside of Milan, visiting tours from the experts in the city - local residents. 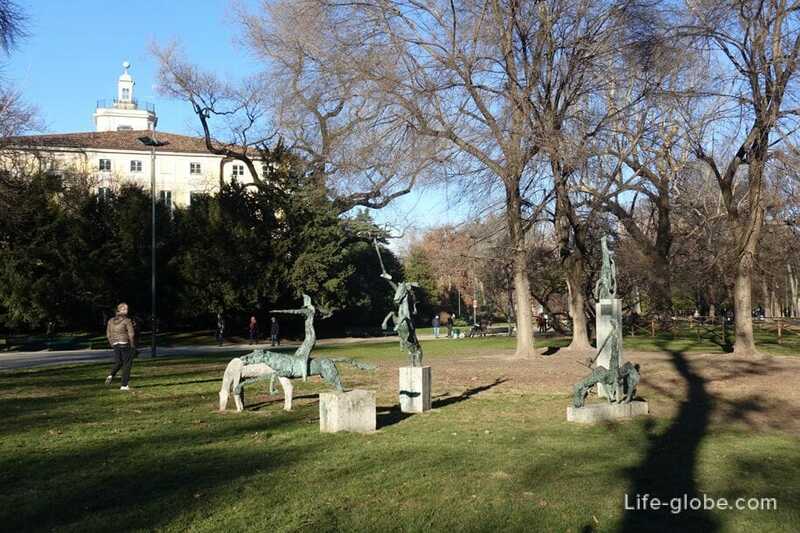 Such excursions can be the ideal option for those who are in Milan only a couple of hours or one day. 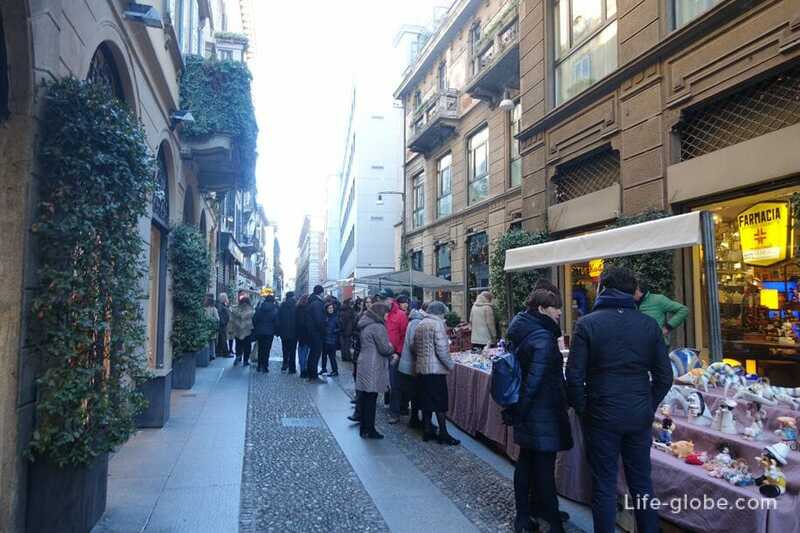 Milan is good at any time of the year, for this reason is always tourists coming to Milan from many parts of the world. 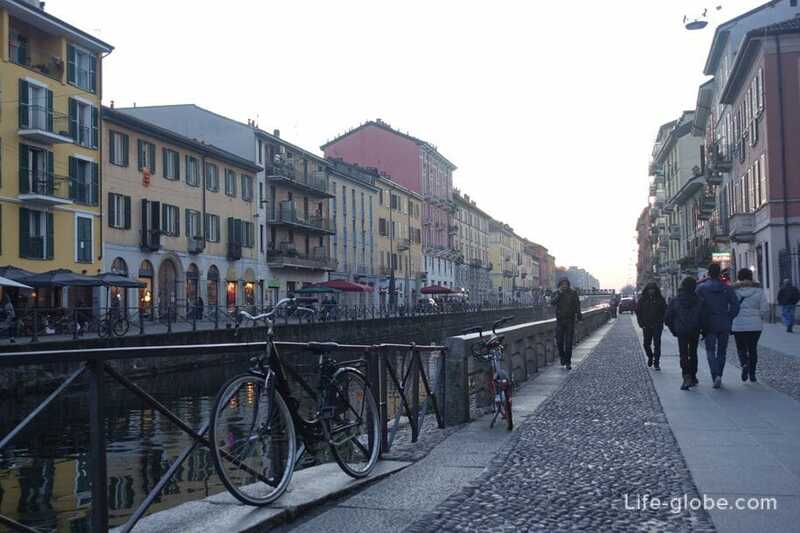 Milan's climate is similar to many Northern Italian plains, with hot, sultry summers and cold, foggy winters. However, the average number of days with precipitation per year is among the lowest in Europe. Mountains of the Alps and the Apennines form a natural barrier that protects the city from the large amount of precipitation. In winter daily average temperatures can drop below 0°C, also can snow. However, mostly held near zero temperature with great number of Sunny days. Also, the city can envelop the fog and haze is present. The level of air pollution increases significantly in winter when cold air clings to the soil, causing Milan is one of the most polluted cities in Europe. In summer, the humidity level rises and peak temperatures can reach above +35°C. Typically, in this season there is more clear skies, averaging more than 13 hours of daylight. In case of rain, there is a probability that they will be with thunderstorms and hail. Spring and autumn and early winter, is usually pleasant, the temperature ranges from +10 to +20 °C. However, these seasons are characterised by higher precipitation, especially in April and may. The relative humidity typically ranges between 45% (comfortable) and 95% (very humid), and during the year, rarely dropping below 27% (dry). The wind in Milan, as a rule, is absent, except for summer thunderstorms when winds can increase. 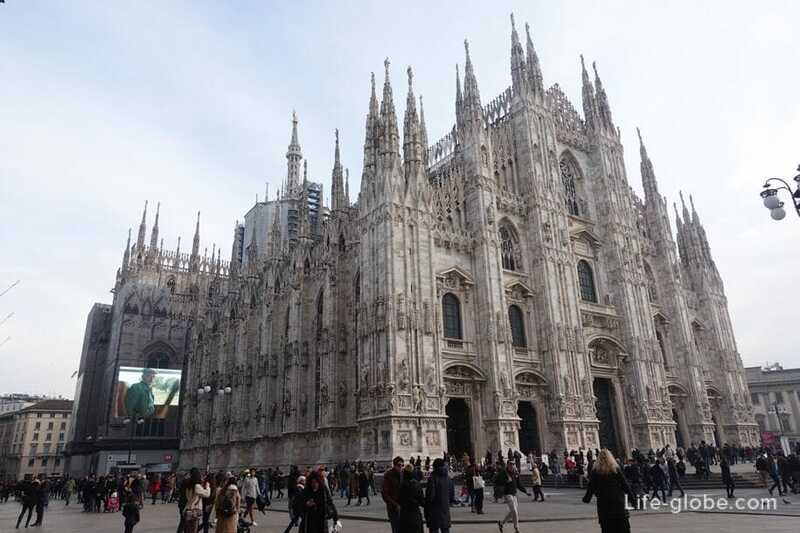 Tourists, Milan is often regarded as a convenient transportation hub with direct flights fly from Russia, many cities in Italy and Europe, including the most famous low-cost airlines, with very attractive ticket prices. From Milan convenient to travel around Northern Italy. You can go to lake Como, only about an hour on a direct train to the eponymous city Como, or even to Switzerland, as well as in Turin, Genoa, Verona, Venice, etc. 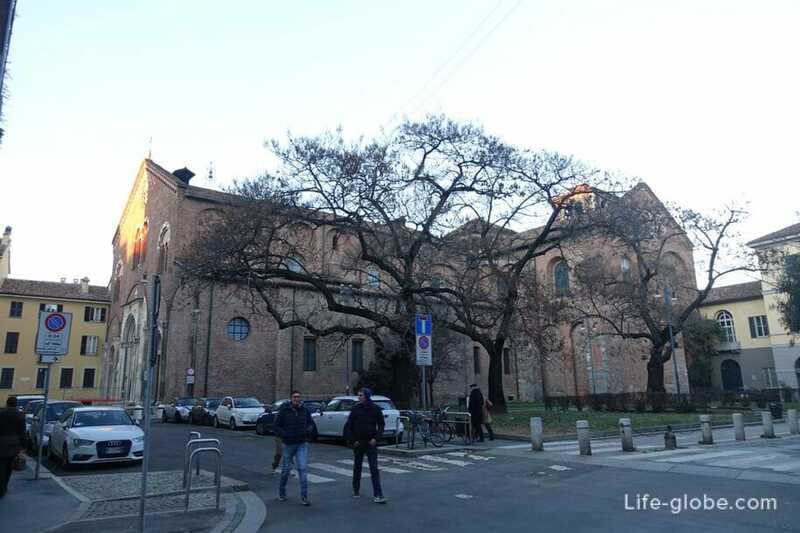 However, planning your route in Italy and selecting the starting point is Milan, we recommend you to stay at least for a couple of days, ideally 3-4 days - this is enough to attractions, museums and leisurely walks. 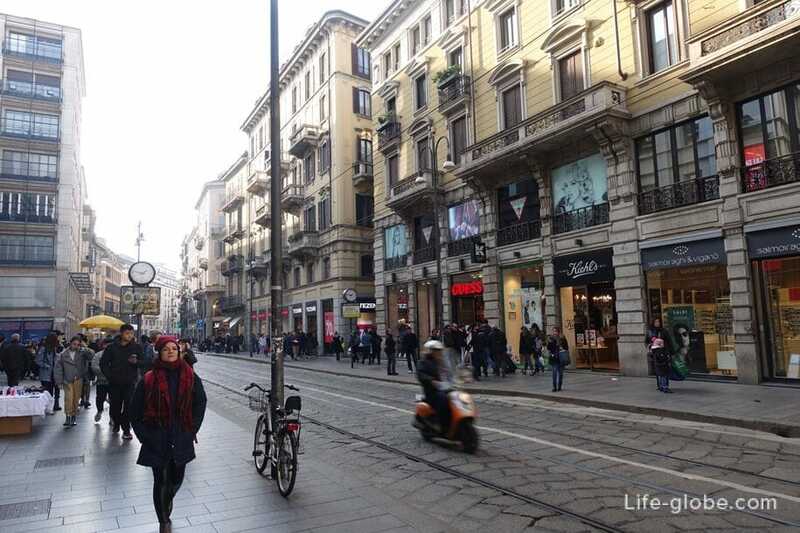 Besides, in Milan convenient to build a route so that walking and sightseeing are combined in shopping. 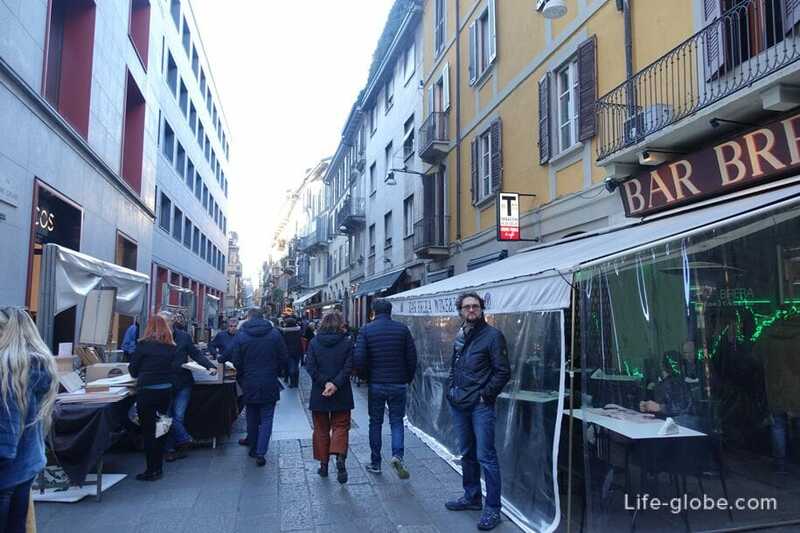 The choice of accommodation in Milan is very large and diverse, here you can find accommodation for every taste and budget, from budget to luxury 5 star hotels, boutique hotels, apartments and guest houses located in the historical centre, and more remote from itself. It is most convenient to stay, of course, in the historical centre. So within walking distance are all major sights, shops and supermarkets, plenty of cafes and restaurants, as well as auto - and railway stations. 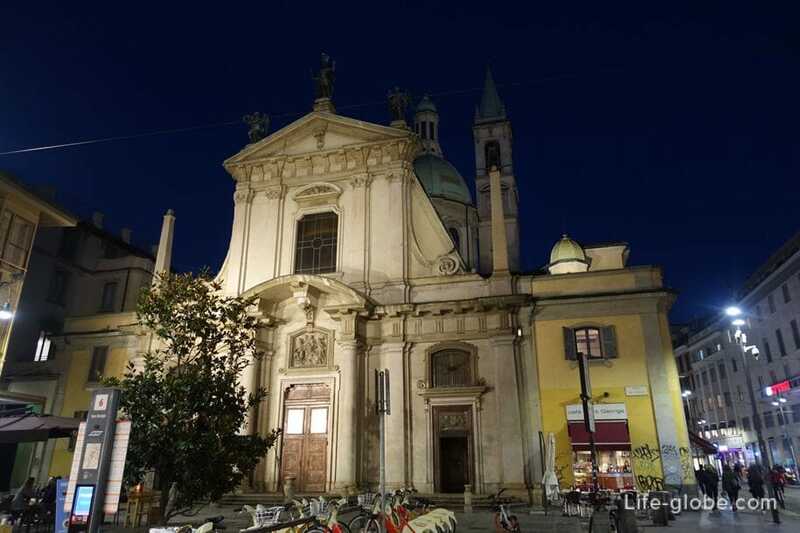 All accommodation facilities in Milan, from budget to luxury, you can view and book here. 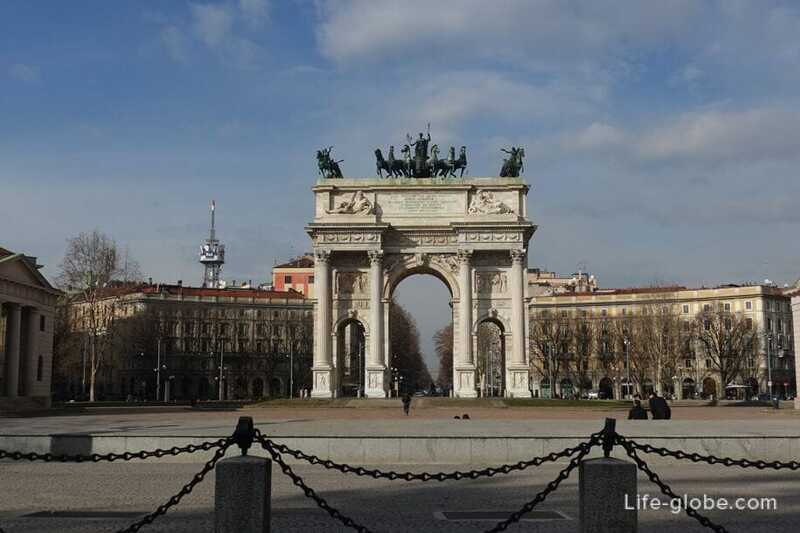 The most convenient, quick and sometimes budget way to get to Milan is by airplane. In Milan and surroundings there are three airports: Malpensa, Linate and Bergamo. A little further from Milan, at the distance of 127 km. from the city center, airport of Parma. It is less in demand by passengers going directly to Milan, but can also be an option to get to Milan. Malpensa airport (Aeroporto di Milano-Malpensa) is located 45 kilometres from Milan city centre. To get from the airport to the centre of Milan easier and faster than a taxi. To order a taxi/Shuttle service in advance, even from home. At any time of the day, at the airport, you will meet your driver with a sign, which will be written your name and surname. For taxi is enough to tell us your flight details! Also from Malpensa airport to Milan city centre can be reached by train or city bus. Or on the Express bus for 8 Euros to the train station Milano Centrale. Bergamo Orio al Serio named Caravaggio (Aeroporto Internazionale di Orio al Serio) also known as Bergamo airport is an international airport located 50 kilometers from Milan city center. 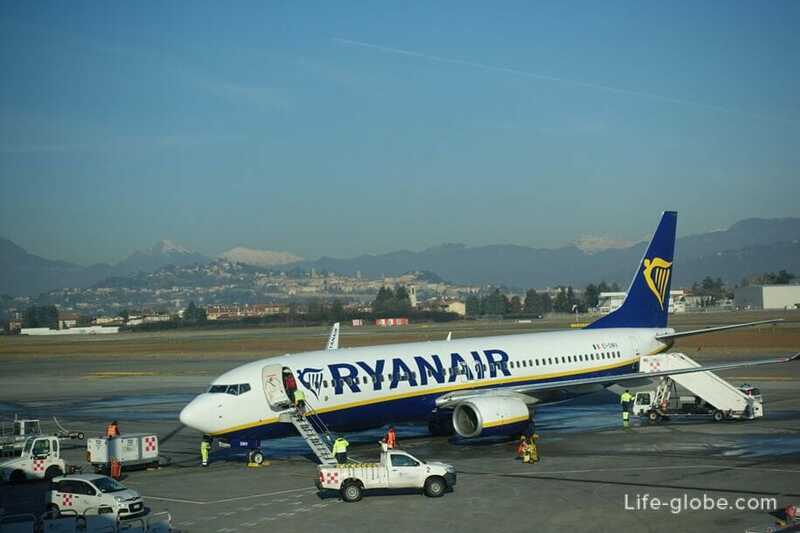 The airport assigned to Milan, so is also called the airport of Milan Bergamo. Attractive airport, primarily because it serves local and international flights, mainly budget airlines (low cost): Ryanair, Wizz Air , Blue Air, Pegasus, Victory, etc. resulting to get from many European cities to the airport of Milan-Bergamo and the surrounding area is possible at very attractive prices. The cost of flights by low-cost airlines starts from 10 EUR one way. 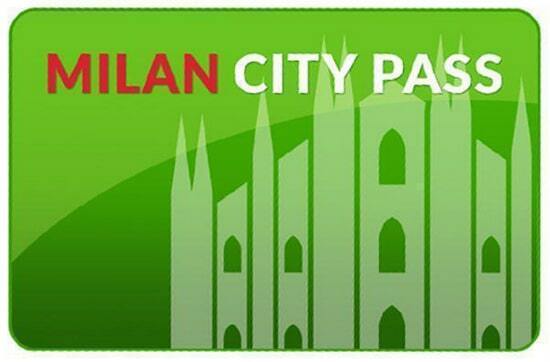 From Bergamo airport to Milan city centre can be reached by a direct bus. Buses run daily, several carriers, the fare is all about the same and is 5 euros one way. 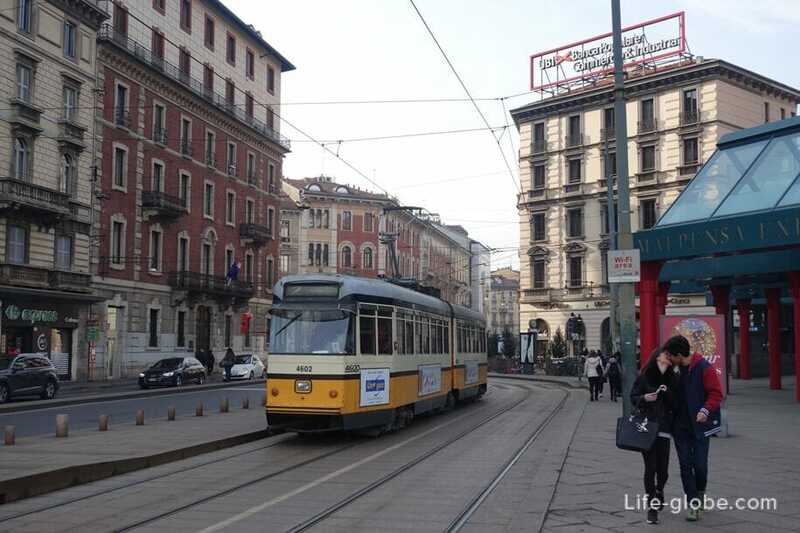 Of Italian cities and many European cities you can reach by train the center of Milan. 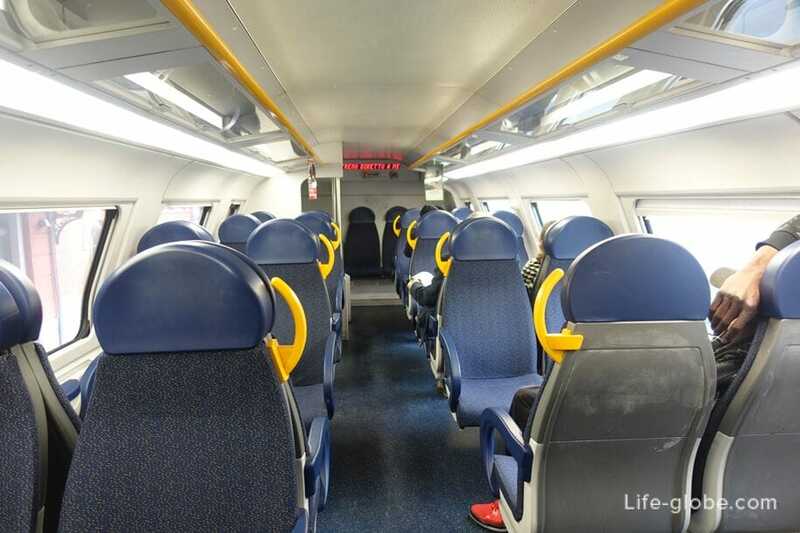 One of the options Trenitalia or online website Rail Europe. Milan can also be reached by bus route docking in various cities of Italy and Europe. Carriers much. For example, there are buses from Munich, Paris, Vienna, Zagreb, Prague, Girona, Zurich, Berlin, Warsaw, etc., both direct and with stopovers. Tickets for buses in Italy and Europe it is possible to look and book here. Italy belongs to the Euro zone because the country's currency is the Euro (€). Payment is accepted in cash and Bank cards in many shops, cafes and restaurants. Milan has fifteen sister cities, of which: Sao Paulo (Brazil), Chicago (USA), Lyon (France), Frankfurt (Germany), Birmingham (Britain), Dakar (Senegal), Shanghai (China), Osaka (Japan), tel Aviv (Israel), Bethlehem (Palestine), Toronto (Canada), Krakow (Poland), Melbourne (Australia), Daegu (South Korea). Partnership with Saint-Petersburg (Russia), which began in 1967, was suspended in 2012 (a decision taken by the city of Milan) because of the ban of the Russian government on "homosexual propaganda".